Data is from the April 2018 Hubspot report titled "Hype vs. 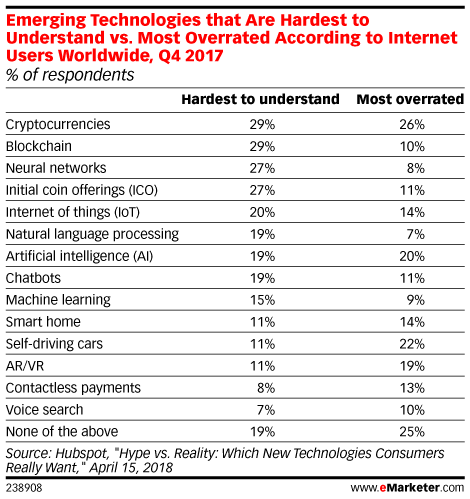 Reality: Which New Technologies Consumers Really Want." 7,406 internet users worldwide were surveyed online at the end of 2017. HubSpot is an inbound marketing software platform.